I live in Atlanta. Driving around the city, I certainly go, "... I could've laid out the city better than this! You can't get anywhere!" I'm sure many of you have done much the same. Well, Valletta gives you the opportunity to build your own city. It's 1566 and you're one of several builders in charge of creating the capital city of Malta. The game is a mix of resource management, worker placement, and deck-building all wrapped up into one. 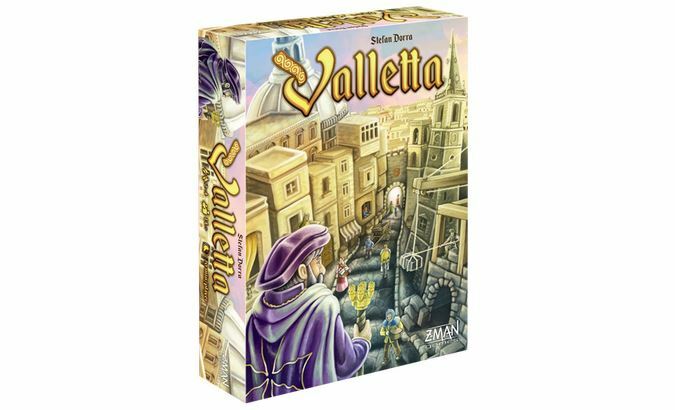 Z-Man Games is proud to announce the upcoming release of Valletta, an intriguing game of strategic planning to create a great Mediterranean city. ?The Order of Malta has laid the first stone of what will become the capital of Malta, and you are one of many who have been entrusted with overseeing its construction. 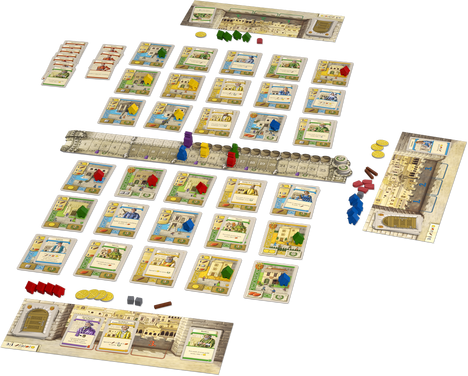 Seamlessly blending elements of deckbuilding, worker placement, and resource management games, Valletta beckons two to four players to return to 1566 and contribute to the construction of this powerful city.